Karl is a vastly experienced trainer who has worked his way up to the top after starting training with just a handful of horses in the late 1980s. Strong year-on-year progression saw Karl and his wife Elaine buy Spigot Lodge around 15 years ago. Spigot is ideally situated between the famous Middleham High and Low Moor gallops and is steeped in racing history. Indeed, many Group winners have been trained from Spigot Lodge in recent years with Group 2 Dante winner and Epsom Derby runner-up Libertarian highlighting the yard’s ability to make an impact in the very best races on a confined budget. Two-time Group 1 winner Odeliz was bought for just €22,000 as a yearling from Deauville before being sold privately for £1,000,000 at the December Mares Sales in Newmarket, highlighting the amazing results Karl is capable of getting with horses bought on a relatively low budget. 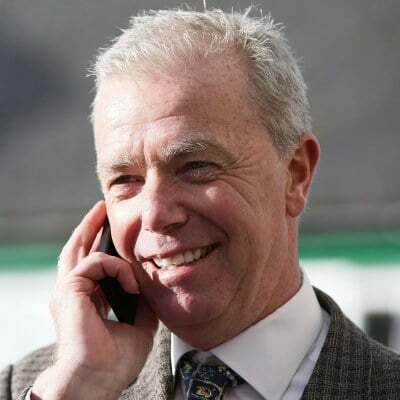 View Karl Burke's available horses. "We hit the ground running for Hambleton, which was great, and the winners continue to come. From day one, I’ve been very taken with Hambleton’s organised, professional approach. Their owners always seem to be superbly well looked after."